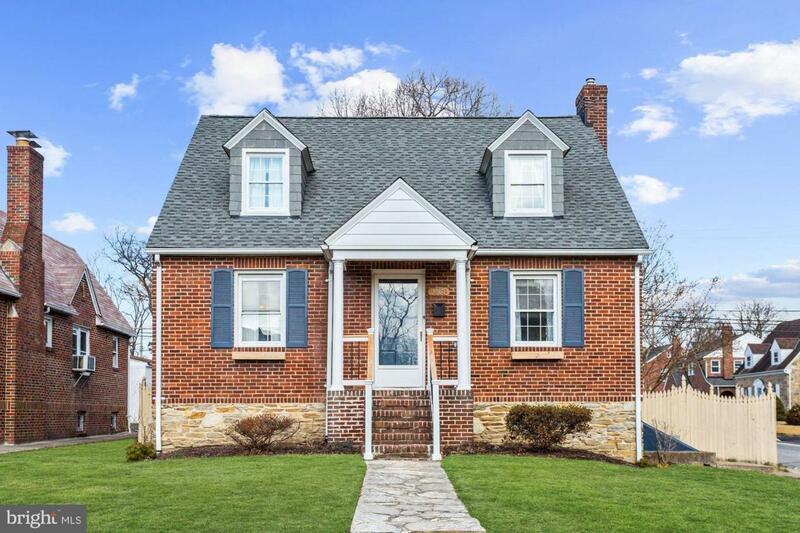 Beautiful Cape Cod style home with character and charm in the Villa Cresta neighborhood with easy access to I-83, I-95, and I-695 to enjoy all that downtown Baltimore has to offer. The living room welcomes you and features gorgeous hardwood floors and double crown molding that flows into the dining room and is accented with a chair railing. Through the kitchen that boasts modern flooring, ample storage, backsplash, and concrete counters you will step into the spacious family room highlighted with a vaulted ceiling, recessed lighting, and access to the deck. Two sizable bedrooms and half bath complete the upper level. Relax and unwind in the lower level recreation room that is spotlighted with ceramic tile flooring, laundry, and is connected to a spacious workshop that is ideal for any project.